SportsDevil is the most well-known third party Kodi addon for streaming live sporting events and replays free online. With its wide variety of replay and live IPTV HD sports streams, Sports Devil is often considered the ultimate Kodi sports addon for fans of all varieties. Learn how to install SportsDevil on Kodi and keep it updated with the latest working version. This ultimate sports addon can be found in many versions and forms in various repositories. The most recent and best working version is hosted by both the Supremacy and Kodil Repositories. Keep reading for a step-by-step guide on how to install the greatest sports Kodi addon of all time. The Kodil Repo will be used for SportsDevil April 2019 installation in this tutorial. Click Kodi System icon then on File manager, Add source and None. You should be able to connect to an encrypted server with your IPVanish VPN app and then access any live sports streams going on right now. Note that many streams are blocked by internet service providers, especially in the USA and UK markets. The only way to bypass censorship to watch these streams with any Kodi addons is by using an encrypted VPN tunnel. 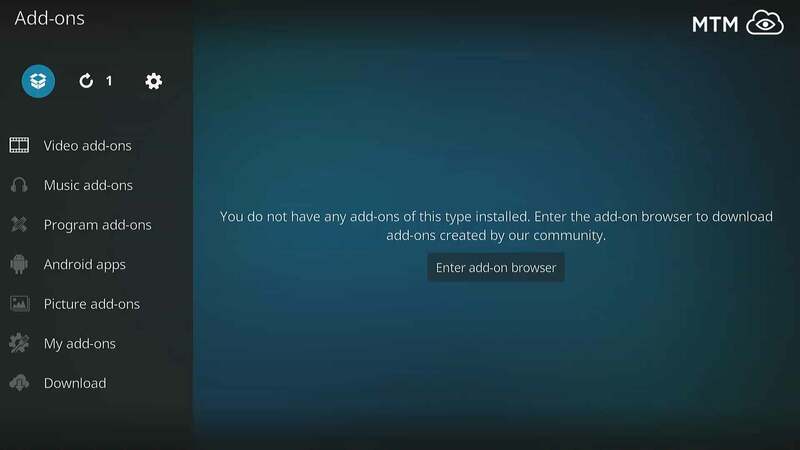 With the release of Kodi 17 Krypton came new security preferences designed to block third-party addons by default. Fixing this requires a simple Kodi settings adjustment. Please reference our Enable Unknown Sources guide to have Kodi allow the installation of unofficial addons. It’s necessary that you make this adjustment to enable unknown sources; otherwise, Kodi won’t accept the Kodil repo source and installation will fail. Once it’s done, you shouldn’t have to adjust this setting again. You’ll be ready to access all the best Kodi repos and great working addons that the Kodi community has to offer. Follow our step-by-step guide on how to install this great Kodi addon for live sports streaming and sports replays. This guide is divided into multiple segments. First, you provide Kodi with the Kodil repository’s location. Then, install this repository, also known as the Kdil or Kodisrael repo. Finally, you will download the SportsDevil addon to your Kodi device. Note: This latest version of SportsDevil can also be found currently hosted in the Supremacy Repo along with a ton of other great working addons (including the fantastic Supremacy Sports addon!). Picking a definitive SportsDevil repo is not easy, but Kodi Israel Group (Kodil) has been doing a good job of keeping the latest working Sports Devil version available for a very long time. You’ll find this version highlighted in our list of best Kodi sports addons along with many other great working free live sports streaming addons. You can easily catch any NCAA or NFL football game (including the Super Bowl), MLB baseball game (including the World Series), any NBA match, or even a Formula 1 race or golf tournament if you’re into it. All images accompanying the steps in this guide will feature Kodi 17 Krypton’s default Estuary skin. Using these same examples should also teach you how to install SportsDevil on Kodi 18 Leia. You may find it easiest to re-enable the default Kodi Estuary skin if following this visual guide. The SportsDevil Kodi addon is hosted by the Kodil Repository. Before you can install and enjoy this great sports streaming addon, you must first provide Kodi with the source location for the repository. Follow the steps below to complete this first stage of installation. On the Kodi home screen, select the System icon. It looks like a gear cog at the top of the menu. Next, click on File manager near the bottom right. Select Add source on the left side. Select None to add a custom URL. Enter the following URL EXACTLY: http://www.lvtvv.com/repo and then click OK. Type the name kodil into the text area directly below the source address, then select OK again. Check again for typos before clicking OK one final time to give Kodi the repo’s source location. Now that your friendly SportsDevil app (Kodi) can actually find where the Kodil repo is located, it is time to install this repository. You must complete this task before installing the SportsDevil sports streaming Kodi addon. Follow the steps below to get it done. Make your way back to the Kodi home screen and select the Add-ons menu item. Select the Add-ons browser icon above the menu. It looks like an open box and sometimes called the Package manager. Click on the kodil source installed earlier. Select the file repository.kodil-X.X.zip (repository.kodil-1.3.zip at time of writing). A pop-up window will appear in the upper right corner to confirm the Kodil repository was successfully installed. All you anxious sports fans jonesing for your fix of thrilling athletic competition can almost rejoice. Only one more task stands between you and endless hours of HD sports streaming. Now that the SportsDevil repository is in place, you must simply install SportsDevil to enjoy all the football, baseball, basketball, and more that you can handle. Follow the steps below to complete this final process. Remain in the Add-ons browser menu, then select Install from Repository. Then, select Video add-ons in the Kodil repo directory. Click on SportsDevil addon in the list. Select the Install button to start the SportsDevil download and install. A pop-up message should appear letting you know that SportsDevil Add-on installed successfully. Whether interested in football, baseball, cricket, hockey, basketball, soccer, or nearly any other sports event, SportsDevil is the one-stop Kodi addon to fulfill all of your Kodi sports streaming desires. SportsDevil proudly hosts content from every major sports league, including NFL, NHL, NBA, English Premier League, MLB, UFC, Indian Premier League, and more! No matter what team you root for, you’ll find them streaming 24/7 on the SportsDevil Kodi addon. The SportsDevil Kodi addon is easily the best available for live sports streaming and replays when it’s working. It finds all the high-quality sports content you could ask for. No matter which sports event you follow, the latest SportsDevil likely has live streaming coverage and replays to watch whenever you want. Note that links for live sporting events such as football, baseball, basketball, MMA fights, and far more probably will not be available online to be found by SportsDevil until right before the event is scheduled to start. With all of this going for it and much more, SportsDevil has earned its reputation many times over as one of the best Kodi addons of all time. You’ll find many more great sports streaming free online with SportDevil Kodi addon than these. Whatever your sport of choice is, you can almost certainly find it in the SportsDevil addon as a live stream or a replay. This addon features leagues across the spectrum, from college sports to local matches and all the way up to the pros. The video is offered in qualities ranging from 480p SD to 1080p HD depending on your preference and internet speed. Favourites: easily bookmark your preferred channels and favorite streams. Blogs: catch up on sports news from some of the best sports writers online. Highlights: watch the most memorable and spectacular moments of recent matches. Live Sports: tune in to live sports streams online and catch the game as it happens. Sports TV: view a wide variety of sports events and catch up with sports replay channels. Live TV: stream broadcast network TV shows and movies live online as they are aired. Even if you aren’t watching sports events in SportsDevil, chances are the Kodi addon you are watching with is using SportsDevil as a Kodi addon dependency. Many Kodi addons with even a small amount of sports coverage do so, as SportsDevil sets the standard for rebroadcasting or streaming sports coverage live from around the world. Note: The Kodil repo address changes on occasion, so check the Kodil Repository article if you find SportsDevil not working or updating properly. As mentioned earlier in the article, the live Sports Devil addon can also be found in the Supremacy Kodi repository. In the case of SportsDevil not working or going down, be sure to checking back here. We will update this article to let you know if SportsDevil has been updated by another developer or is most recently housed in a different repository. We’ll also let you know if this version just stops working altogether.